I’m traveling this week in the Central Highlands area of Viet Nam, sometimes referred to as the Western Highlands. The Bana (or Bahnar) are an indigenous hill tribe native to this area. The colonial French named the people here the ‘Montagnards’ or literally the ‘mountain people’. There are numerous ethnic minorities in this area, the largest being the Jarai, Ede, K’hor and Bana. Many such groups from the Highlands are some of the most evangelized groups within Viet Nam though there remain pockets and villages that have yet to be evangelized. 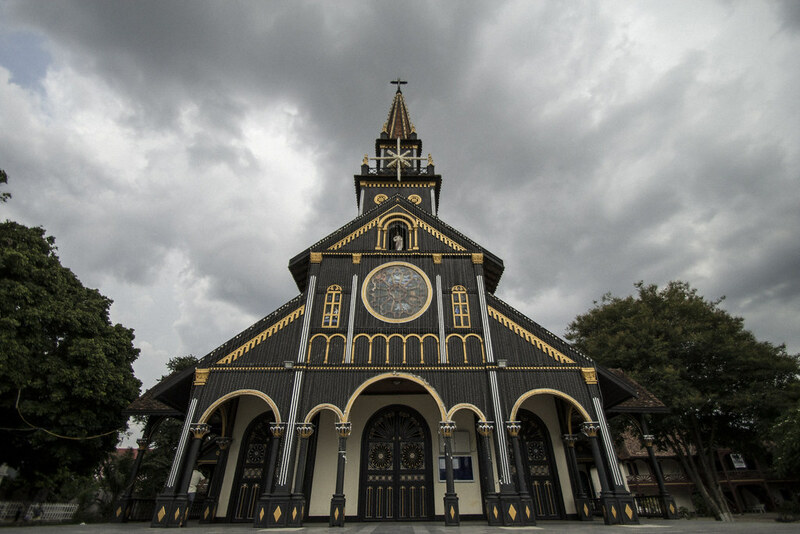 There are other smaller in size ethnic groups in the area that remain UPG’s or UUPG’s. Some streams of Christianity among these peoples tend to be very cultural and there is a great need for additional training and evangelism. 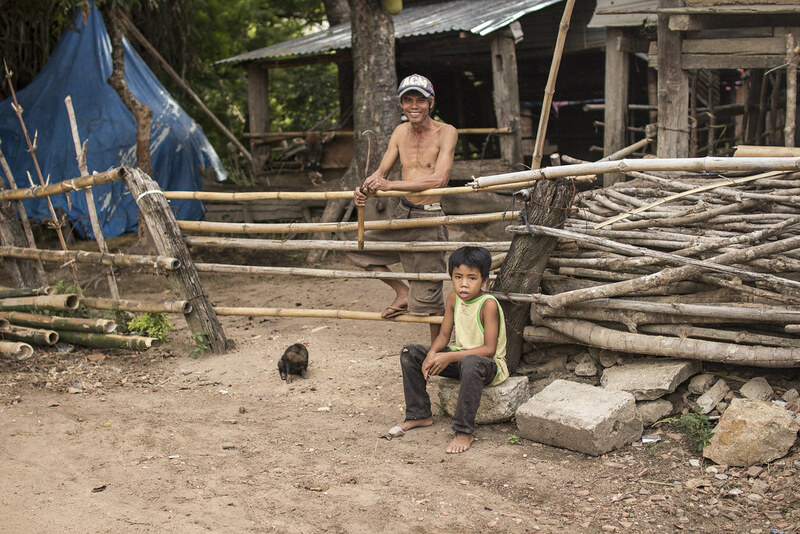 In each village, the best piece of land is reserved for the communal house, called a rong. Traditionally, Bana families lived together in these communal dwellings, but these days most Bana families have their own homes. 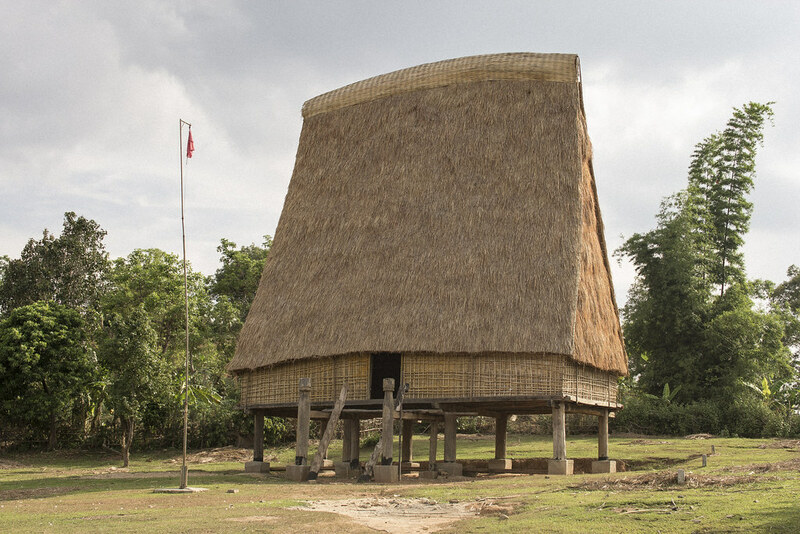 Although rongs are no longer lived in, they continue to be an important meeting place for the village, used for festivals, meetings, and other important gatherings. A young girl wanders through her village. A young boy and an older man work together repairing fishing nets. 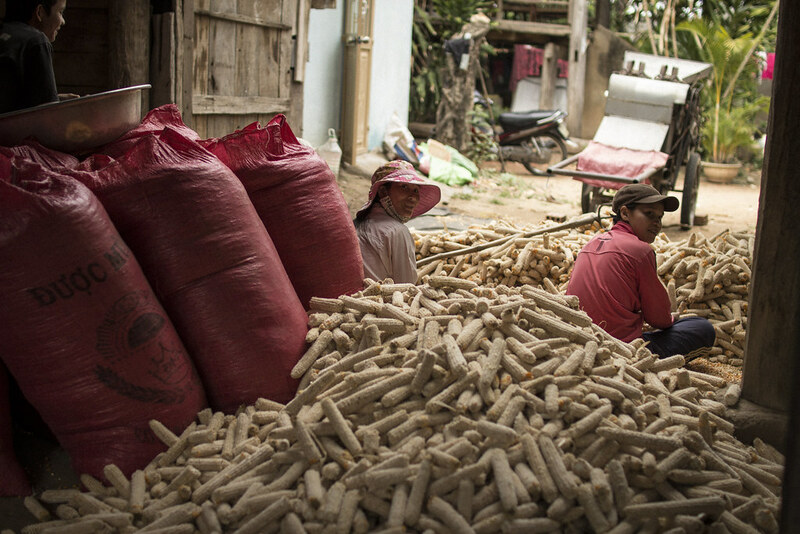 Most Bana work in agriculture, but some also use other means to provide for their families. A Bana women, with her cane next to her, rests in the shade. 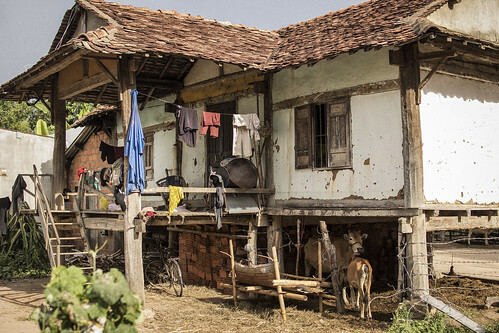 Most Bana families live in houses with wooden frames raised up on stilts. 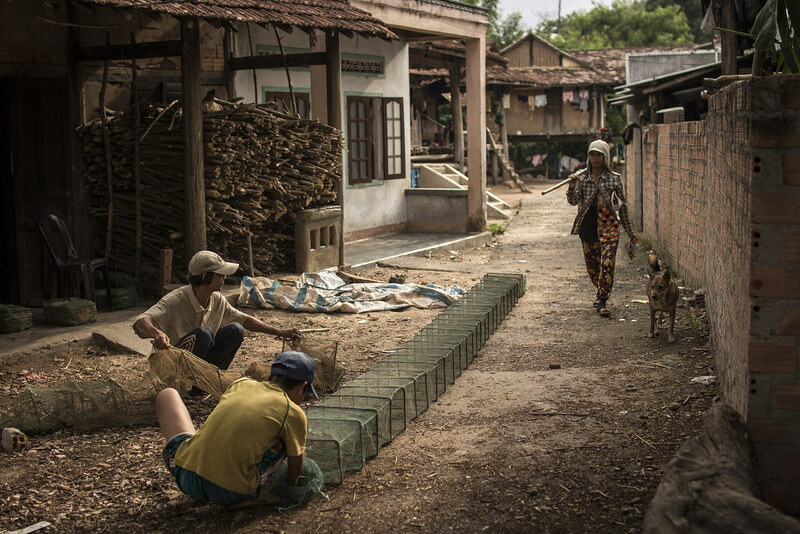 This allows protection from the elements while also freeing the area below the home to be used for keeping livestock, working on embroidery, or storing crops. 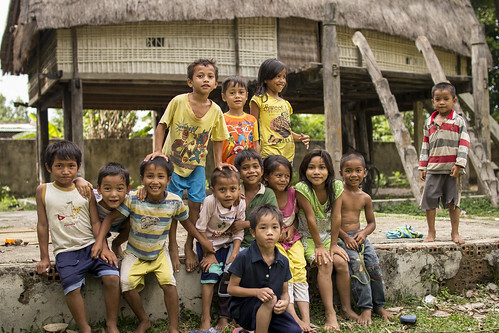 Children play in front of a communal house. 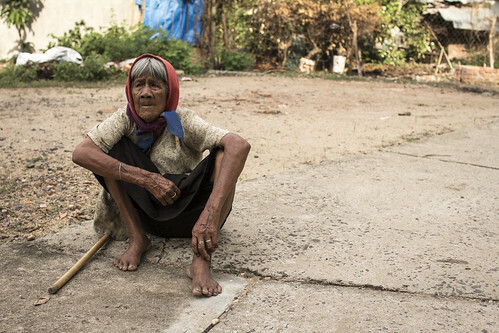 Catholicism has long been prevalent among certain minorities in Vietnam, including Bana people. It is less difficult for a Vietnamese to convert to Catholicism, as praying to saints acts as a way for former-Buddhists to still hold on to a form of ancestor worship. 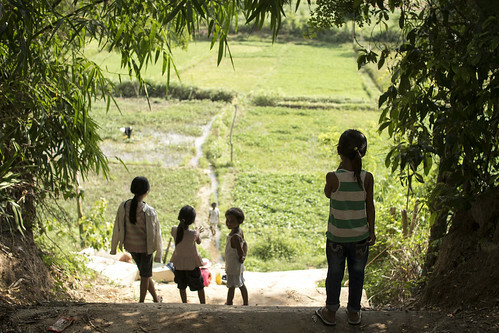 Children watch as their neighbors work in the fields. 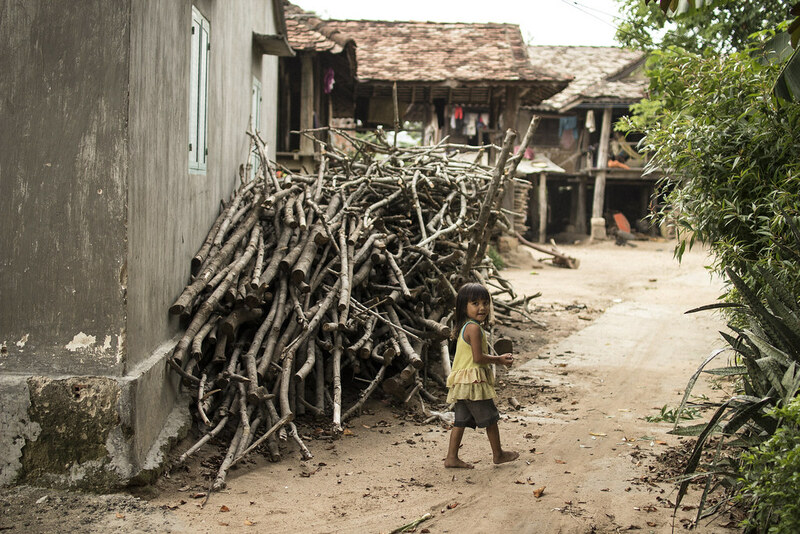 The Bana people still practice slash-and-burn agriculture. 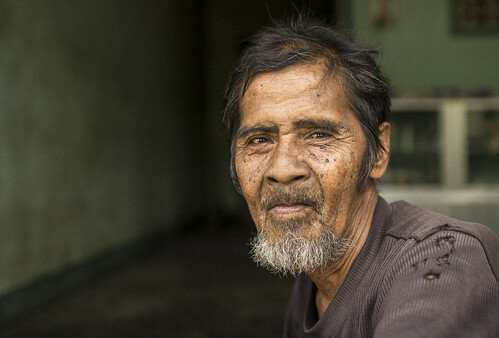 In the past, the Bana people were a matriarchal society where lineages were based on the mother's side and men married into his wife's family, In recent times, however, Bana culture has begun to shift, placing more importance on the position of men. A family crowds onto a hammock while waiting for the afternoon heat to die down. Father and son. Most children learn trades and help their families from a young age. 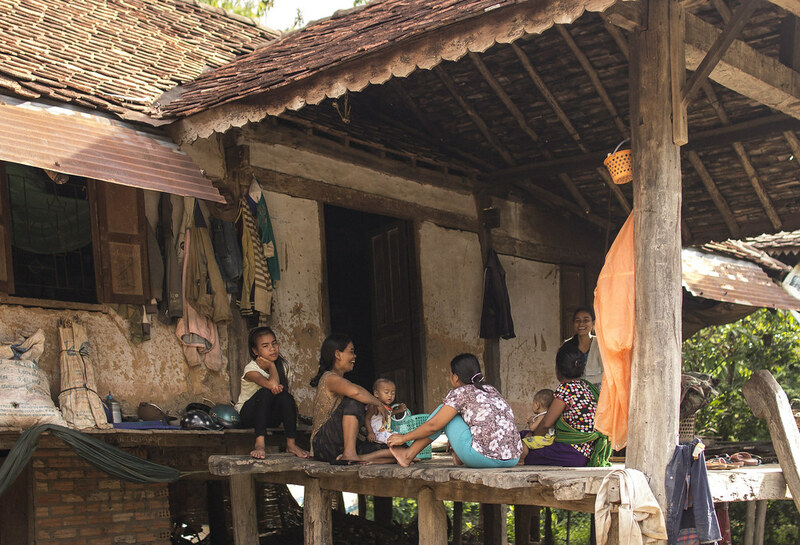 Bana women chat together outside a home. Although most Bana tribes no longer live together in large communal houses, communities remain tightly knit, and homes are always open for friends and neighbors. Women shucking corn under the shade of their homes. 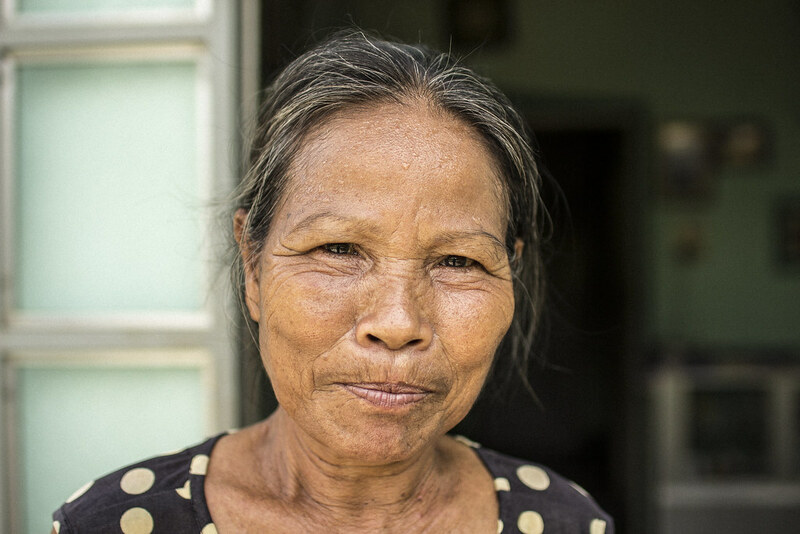 Like many ethnic minorities in Vietnam, the Bana have a fragile relationship with the government. The Bana people continue to struggle for representation and the recognition of their needs.